Russian figure skater Alina Zagitova has secured a gold medal with the scores she had received in the voluntary program at the 2018 Winter Olympics, while Russian figure skater Evgenia Medvedeva won a silver medal. 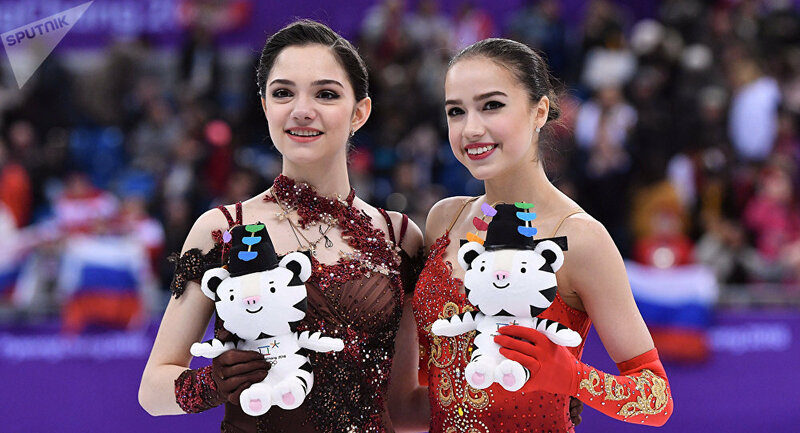 Russia’s Alina Zagitova and Evgenia Medvedeva on Friday won the gold and silver medals in women’s single skating events at Olympic Winter Games. Zagitova scored a total of 239.57 points, while Medvedeva scored 238.26 points. Canada’s Kaetlyn Osmond finished third with 231.02 points. Earlier, the figure skater set a new world record during the short program, receiving 82.92 points for her performance. The previous world record with 81.61 points was set earlier on the day by Russian figure skater Evgenia Medvedeva in the women's single short program, who was giving her performance after Zagitova in voluntary program. — Diana Vishneva (@dianavishneva) 23 февраля 2018 г. ​Zagitova managed set the world record despite having to miss her training session four-hour long blood and urine sampling by the demand by the World Anti-Doping Agency (WADA) doping officers. Medvedeva's previous record, 80.85, was set last year at the World Team Trophy in Tokyo. The 2018 Winter Olympic Games are to end on the 25th of February with the closing ceremony.